On 20 September 2016, the Unrepresented Nations and Peoples Organization (UNPO) joined forces with the Asian Legal Resource Centre and the Right Livelihood Award Foundation in a side-event to the 33rd Regular Session of the UN Human Rights Council, at the Palais des Nations, in Geneva. Bringing together representatives from Pakistan’s oppressed regions and occupied territories the event drew attention to Pakistan’s deteriorating human rights record, including the systematic killing of lawyers. 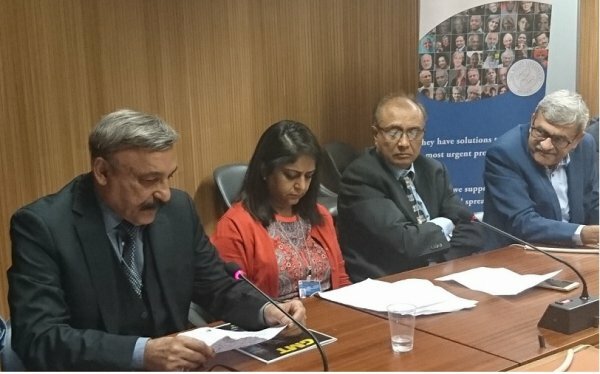 Moderated by Mr Baseer Naveed of the Asian Legal Resource Centre, the event heard speeches by representatives of Sindhi, Baloch, Gilgit-Baltistan and Pakistan-occupied Kashmir. Mr Lakhumal Luhana of the World Sindhi Congress stressed that the CPEC “is much more than an economic corridor... it is a game changer that will lead to the end of these nations [Baloch, Sindhi, Gilgit-Baltistan]” and warned that the implementation of the $46 billon project will bring intensification to all existing conflicts in the region. Mr Mirza Wajahat Hassan, exiled Chairman of the Gilgit-Baltistan Thinkers Forum, said that “unfortunately very few people know that Gilgit-Baltistan is key to unlocking the Kashmir dispute”. Reminding also that Pakistan’s security agencies have intensified their operations to brutally implement the CPEC, Mr Hassan noted that the indigenous peoples of Gilgit-Baltsitan do not have a single representative in the CPEC Committee. The event concluded with a declaration calling on the international community to put pressure on Pakistan to ratify all international human rights treaties and to ensure justice and rule of law. It also called for an impartial international investigation of the killing of 73 lawyers in Quetta, as there is little hope that the Government of Pakistan would provide for one, being itself a gross violator of human rights. 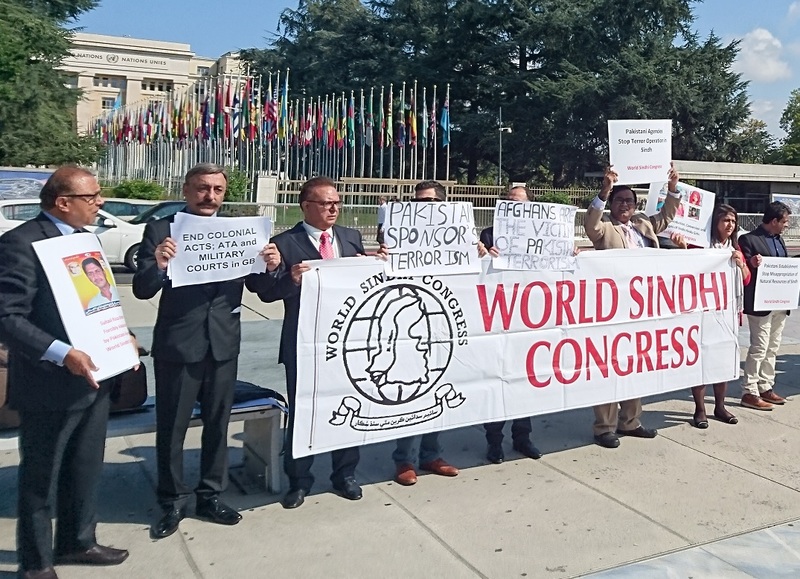 Prior to the event representatives and supporters of Sindh, Balochistan, Gilgit-Baltistan and PoK gathered at Place des Nations in front of the UN to demonstrate against the gross human rights violations perpetrated in the respective regions, including the imposition of CPEC without the consent of the indigenous population.